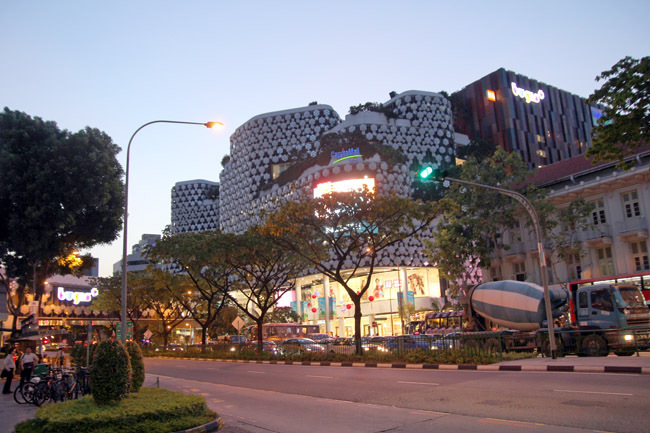 When Illuma did not work out, this mall at Bugis with the illuminated ‘crystal’ façade went for an overhaul with a lot more shopping and F&B outlets. Thus the birth of Bugis+, or Bugis Plus. Some of the new food places include Aloha Ma Maison, Aston Specialties, Blackball, C-Jade HK Café IN, Coco Ichibanya, Laksania, Zebra.C, Rocku Japanese Charcoal Grill, Taipei Station and Ireland’s Potatoes. CapitalMall made the right move with increasing the choice available is definitely a lot better, with many of these brands unseen in other parts of Singapore. 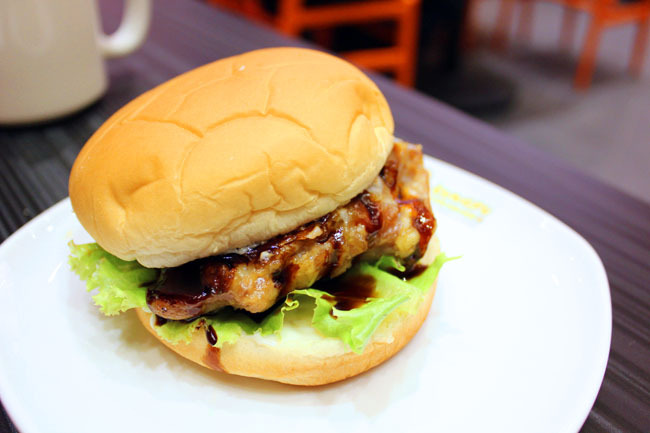 When in doubt, here are 5 of the most popular places to dine at Bugis+. 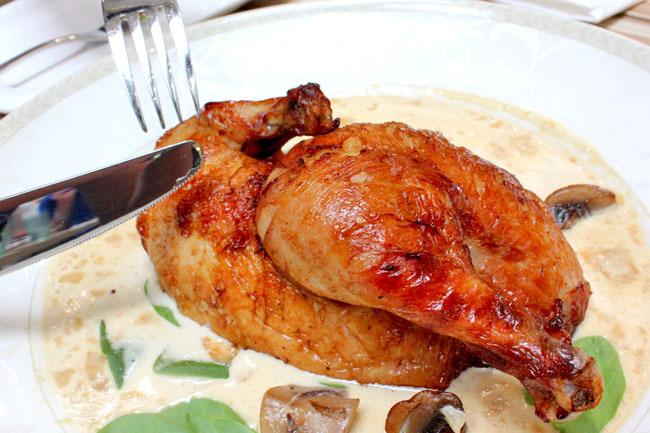 Poulet (pronounced Poo-lay, meaning chicken) is Thai Express’s baby of a French casual dining restaurant at Bugis+ offering adorable French classics to the masses. The star of the restaurant has to be its Poulet Roti ($15.80 for half, $28.80 for whole), or chicken – brined for a full day in a traditional recipe and placed in a rotisserie for a slow roast to tan to a golden brown. Its home-made white and creamy mushroom Chardonnay Sauce is probably one of the best and addictive chicken sauces I had in a long time. Since its opening, it enjoys one of the best fanfare at Bugis+. There has been very differing reviews though. The main challenge for them is to keep food and service standards consistent. This formula is ingenious, gathering six of the best ramen shops in a single place for a competition. Best is subjective. 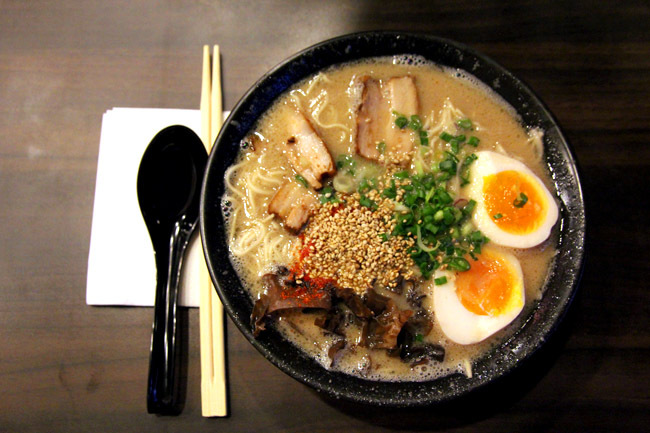 The year before, Ikkousha ‘s hakata-style thin ramen won the heart of customers more than 100,000 bowls sold in a year, beating seconding place Bario at 65,529 bowls. Last year, Aoyama and Taka-no-Tsume joined in the competition. Ikkousha with its tasty broth still remains the best in my opinion. When in doubt, go for the stall with the longest queue, or follow the style that you like. Some of the bowls are not really up to expectation; the good thing is they are likely to be out the next year. At Yayoiken, you would find hamburger steaks, grilled mackerel, pork cutlets, beef steak and mixed grills – food more Western in flavours. Personally, I love the Japanese take on Western food, such as pasta, as they are usually lighter and more delicate. Yayoiken is really affordable for a Japanese restaurant standard. 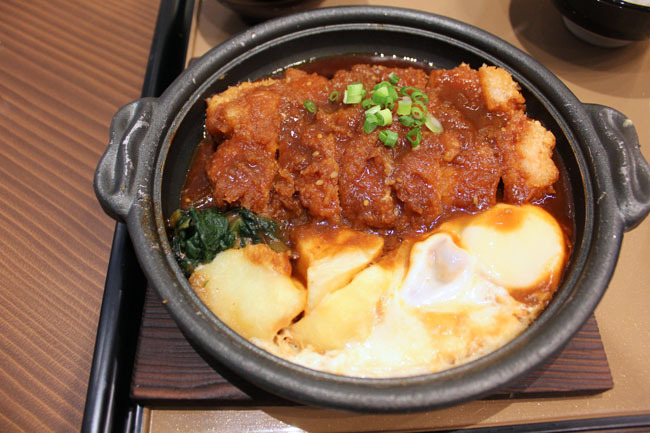 A Buta Shogayaki, Saba miso or Oyako don set can cost only $9.90. So that’s stir fried sliced pork, with Japanese rice, miso, salad and tofu costing slightly more than $10 after taxes. Queues are long during peak hours, but I guess it’s worth the wait. Just like any Hong Kong café which sells mannnnnny things, Kungfu Paradise puts on the dining table popular Hong Kong cuisine (such as dim sum, rice and noodles), Western picks (pasta, sandwiches and toast) and desserts. I am usually sceptical of chilli crab ‘anything’, but Kungfu Paradise’s Seafood Chili Crab Pasta ($9.90) was HOT, almost like the real thing, with the noodles swimming in an oily, spicy and fiery mix. Good news for youths (and bad news for their parents), this Hong Kong Café opens till very late at night which provides supper-goers a great place to nibble and hang out. 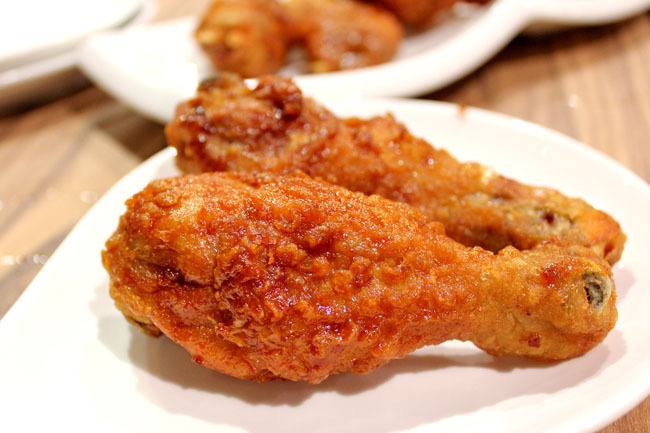 For those who have yet to try Bonchon’s Korean style fried chicken, it is deep fried twice – so the skin becomes crunchier and the meat less greasy when compared to the usual American fast food fried chicken. And according to its menu, the chicken contains ZERO trans fat. It feels kind of pricy to me. A medium combo of 6 wings, 2 drumsticks with one side is $15.90, and I am only saying it because the pieces are quite small. Also, be prepared to wait due to its double-fried preparation time needed. Flipside is the chicken can be considered too dry. And they don’t serve tap water. wah… your writing has improved tremendously!!! The style is quite different from yours. How come?! Lol, what you mean tremendously? This is a summary page of all the reviews I did on Bugis Plus. But I take that as a compliment!